The Great Hawaii Christmas Vacation Blog! The one thing we have always wanted to do as a family is to go on a tropical Christmas vacation. And this was the year we got to do it. Oh yes. We departed mid-afternoon from Edmonton and Santa was kind enough to see us off. We had an uneventful flight to Vancouver, where, unfortunately, Weather Armageddon had hit, delaying pretty much all the departing planes. Having suffered horrible delays on our last Hawaii trip, we took this all in stride and accepted that it could be a long night. Our flight was delayed by about 90 minutes, which gave us the chance to sit down and enjoy a meal. 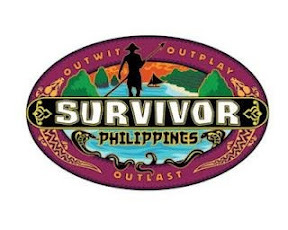 Survivor Philippines Grand Finale Spoiler Review! As any regular reader of my Survivor reviews will know, the finale is my least favorite show of the entire season, as it's a 2-hour prelude to the third hour reunion show where the winner is actually revealed. And there's A LOT of filler in the two-hour show, that normally includes the 20-minute montage to the Survivors no longer in the game. Bo-ring! The final four headed to the reward challenge, which was obstacles, bags, and puzzles. The winner gets an advantage in the final immunity challenge. Malcolm won. Denise approached Malcolm about the final 3 and Malcolm hesitated, so Denise figured she was on the bottom of the alliance and went to Lisa to try to convince her to vote out Malcolm if they get the chance. Lisa was down for that. And so was Skupin. So they figured that they were part of the final 3 regardless of whether Malcolm wins immunity or not. It's the penultimate episode of this season, which means we'll have ramped up drama tonight as everyone scrambles to make the finale. Coming back from Tribal Council, Abi thanked the tribe for keeping her around. I'm not sure if she knows it's because there's no way she's getting any votes if she's in the final 3. But it's amusing to watch either way. Random thought: Is Lisa on this show to re-launch her showbiz career? The tribe figures that Abi does not have the hidden immunity idol that she claims to have or else she would have used it at Tribal Council last night. Abi approached Lisa to say she's at the bottom of her alliance and she should be careful. Lisa politely listened while not believing a word of it. Cuz, you know, it's Abi. 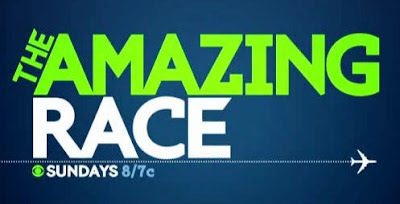 The Amazing Race Season 21 2 Hour Season Finale! It's the season finale of The Amazing Race! Two hours of television that almost always ends up in a 15-second split-screen clip of two teams racing to the finish line from opposite directions, probably 5 hours apart, but skillfully edited to make it look like it was, indeed, a footrace to the finish. Like last season, when ... wait a second. I have absolutely no memory of how last season ended. Fortunately, I reviewed it, so let me check... Someone named Rachel and someone named Dave. They could be sitting next to me right now and I wouldn't recognize them. Well, that doesn't bode well for whoever wins tonight. And with all that prelude out of the way, let's get to tonight's show! I'm really tired tonight, so I'm gonna take a pass at the blow-by-blow review tonight and just go with the highlights. The Loved Ones (TM) showed up for the reward challenge. There was much crying and hugging. The winning survivor got to take their loved one back to camp for the night. Wait. THAT'S THE REWARD!? SLEEPING IN THE JUNGLE!? What would be the "punishment challenge"? Malcolm and his weird brother won reward. They got to pick another survivor and he picked Lisa and her more normal brother. And he also picked Mike and his son, Mike. Abi claimed at tribal council she had a fourth hidden immunity idol. She lied. Next week: More Lisa drama. So we watched this on a time-shift channel tonight from Atlantic Canada, as our American time-shift HD channel was delayed due to football or something, and there was a promo off the top of tonight's show for the Amazing Race Canada. That will make a lot of people in my family happy. Namely, my kids. Back at the American version of the show, the teams are off to Spain and then an overnight fairy to a Spanish island. The Twins depart before 3 a.m. and actually get a plane out to Spain before the next team even leaves at 6 a.m. Wow, no airport bunching! The Chippendales caught up to the Twins at the ferry terminal. And since the ferry to the island isn't until the evening, we're going to get ferry terminal bunching instead. So everyone went to the beach and had a day off. And we got to watch it. Yippee. So it's 15 minutes after the hour, and literally NOTHING has happened yet. A little less than last week. I'll take it.